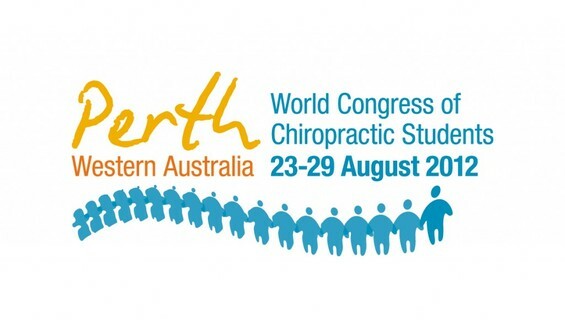 This year’s World Congress of Chiropractic Students (WCCS) Conference was the most constructive, inspiring week any of our delegates had ever experienced. There were huge milestones passed and achievements that promise big things for the WCCS and the chiropractic profession. As per usual the NZCC-WCCS delegation did not go unnoticed; guiding what was a year of mostly new delegates from around the world through a process none of us will forget. New Zealand College of Chiropractic at this consciousness-changing event. but also on the work carried out during the week. The NZCC delegation provided their crucial perspective on all topics discussed; both knowledgeable on the floor and uniquely in-tune with the wider WCCS vision. alienate others who are less likely to embrace the vitalistic approach. Someone of particular affection for NZCC-WCCS Delegation 2012 is Dr Sharni Meyer (Macquarie University) of the current BoD who is making incredible waves – You will no doubt hear more of her in the up-coming future. As for achievements this year, we voted in our new infrastructure which for example, allows us conduct our research survey under the appropriate course of action through our organisation. We also established a Marketing Committee within this infrastructure which, when in full affect, will mean more focus on how powerful we can be and less focus on having to raise funds. We changed our policy for our online presence, discussed autonomy and set to apply documentation to ensure this. Finally, the Congress elected a convenor to host in 2014. Congress 2014 will be hosted in Malaga, Spain in a joined effort by The Barcelona College of Chiropractic (BCC) and Real Centro Universitario Escorial Maria Cristina (RCU). The future of the WCCS is in great hands. The NZCC Chapter is looking forward to the Congress in April next year in Durban, South Africa and for Spain in 2014. We are excited about continuing our legacy as one of the hardest working and most inspiring delegations at Congress.